Predators captain Mike Fisher announced his retirement last week after 17 seasons in the NHL. He became captain in 2016 and played a big role in helping the Predators win their first Western Conference title. The Nashville Predators will need a new captain for a second straight year as last week Mike Fisher did what many thought he would: he retired after a distinguished 17-year career. 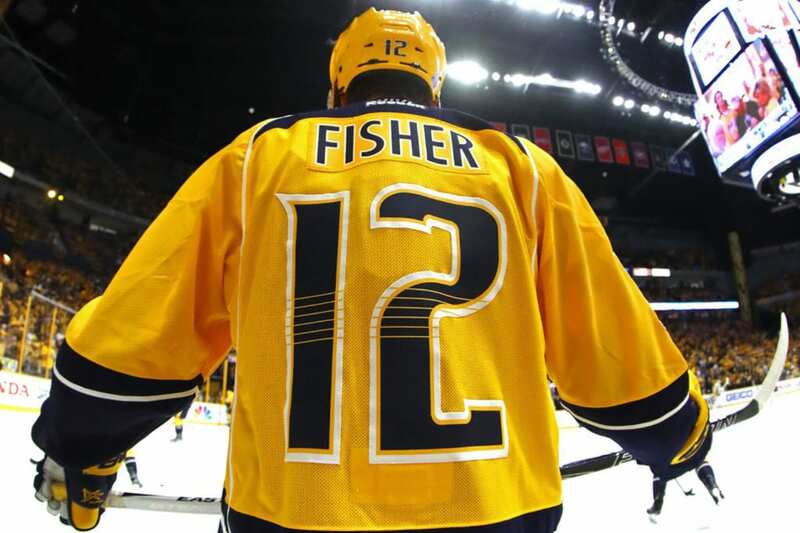 Fisher, who had been named captain in 2016, helped lead the Predators to their first Western Conference title and Stanley Cup Final berth. But at 37, he had been battling injuries and wasn’t at 100 percent during much of the playoffs. Still, Predators’ management wanted him back, and had been holding out hope he would return. He had 18 goals and 24 assists in his final Predators season. Mike Fisher started with the Ottawa Senators in 2000. He was traded to the Predators in 2011. He had 276 goals and 309 assists in 1,088 regular-season games. Fisher added 23 goals and 28 assists in 13 career playoff games. He officially notified Predators’ management via letter of his resignation, citing a desire to spend more time with his wife, country superstar Carrie Underwood, and their son. “I approached this season with the mindset that it could be my last, and now that it’s past, I’m looking forward to a future that includes a lot more time with my family,” Fisher wrote. “Things change when you have kids and you have a family. Fisher’s final game was Game 6 of the Stanley Cup Final, a 2-0 loss to Pittsburgh. Fisher noted the Predators saw on TV before the game the crowd of fans in Nashville during the run the franchise made to the Stanley Cup. “Knowing we were so close to winning it all in June only makes it more difficult to leave it behind, but I do so with hope. Endings are always tough, but I believe when something ends, there are new beginnings, new opportunities and new things to be excited for, too,” Fisher wrote. Fisher was the seventh captain in Predators’ history. The favorite to replace him is defenseman Roman Josi, who will begin his seventh season with Nashville in October.